As the architectural sub-consultant to a large civil engineering firm’s IDIQ with the US Army Corps of Engineers, Alaska District, KPB Architects completed design and construction phase services for The Interim Brigade Combat Team Ammunitions Supply Point (ICBT ASP), a 16,573 SF, single-story facility designed for rapid deployment and munitions processing of light armored vehicles (Strykers, Humvies and other armored-type vehicles. Processed vehicles are transported to Eielson AFB for airlift mobilization worldwide. 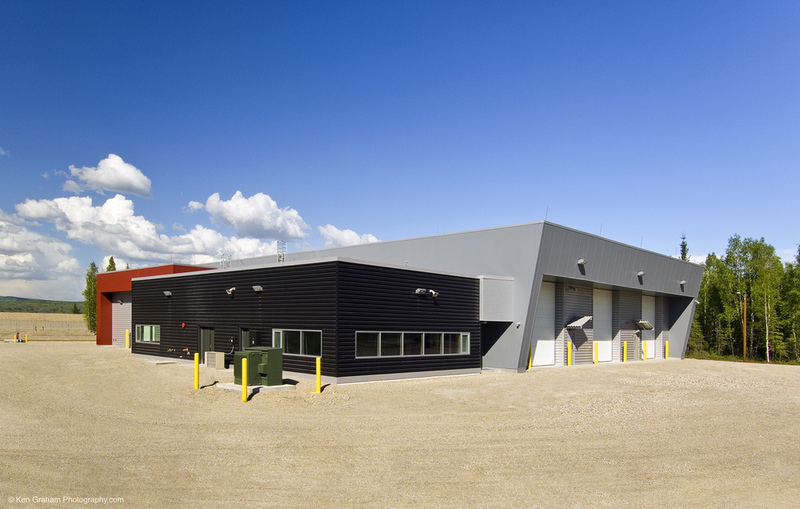 The design combined the separate functions of Palletization, Upload and Scale House into a single facility to afford significant cost savings. The project included parking and access road, a perimeter fence, site utilities, and concrete aprons and pads at entries. The construction cost was within the DD1391 Program Amount of $10.6M. 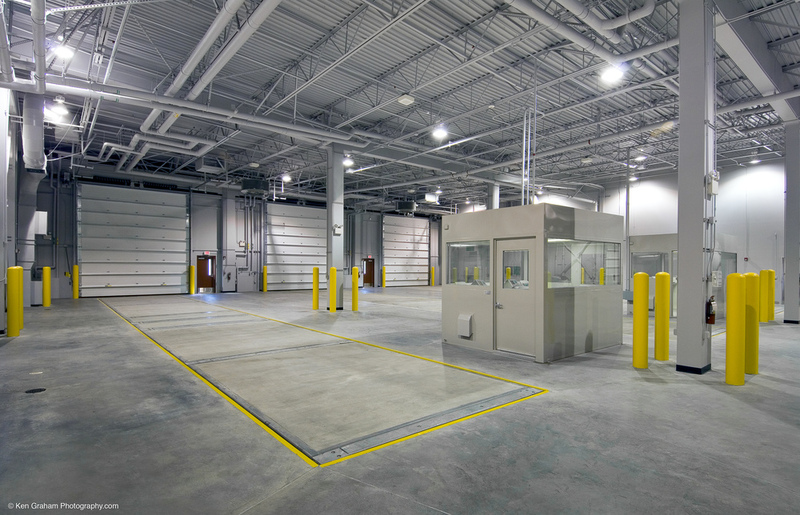 The interior vehicle bays component includes three 30-ft wide x 129.25-ft bays with vehicle pit scales and control booths for record keeping. Scale dimensions are 11ft x 60 ft with each scale length sectionalized to handle short, mid-length and long vehicles. Weather-protected overhead doors are located at the entry/exit of each bay. The pallet bay is ideally positioned near the vehicle entrance doors and adjacent storage bunkers to afford rapid processing of munitions. Administrative areas include office and clerical space, a 36-seat conference room, utilities support and latrines, and is separated from the munitions areas by a 4-hour fire wall. Construction is non-combustible throughout with concrete foundations, concrete slab on grade a steel frame superstructure and metal stud partitions. An exterior thermal enclosure affords maximum energy efficiency. A single-ply EPDM over extruded EPS on metal deck comprises the roof assembly and slopes to drains at ½-inch to 1-foot. Perimeter walls clad in factory-finished insulated metal panels, or metal panels over metal studs, extend above the roof 18-24 inches to form a parapet. A fully-automatic fire suppression system is installed throughout the facility and explosion-release roof vents are installed in the munitions processing and uploading areas.